I wanted to share the craft project that I've been working on lately. I've always been fascinated by all kinds of dollhouses. 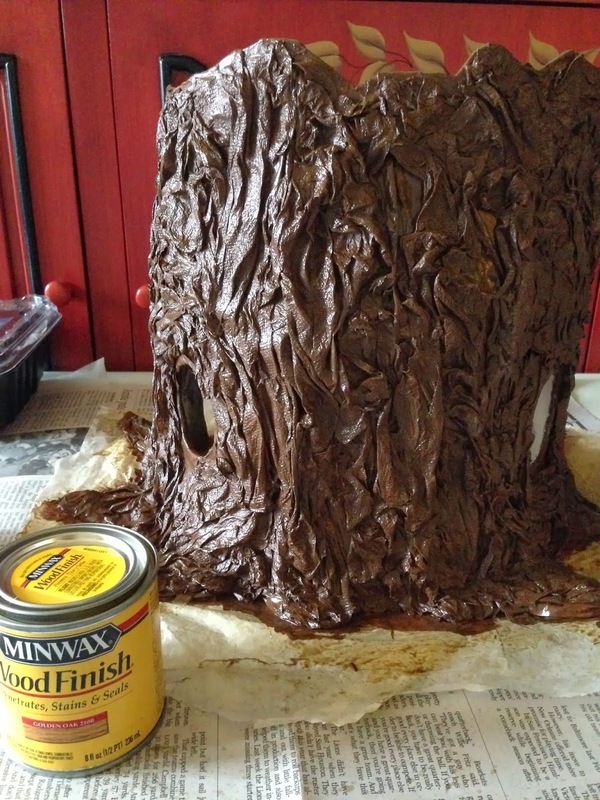 I recently stumbled on to a tutorial on YouTube for how to make realistic tree bark. 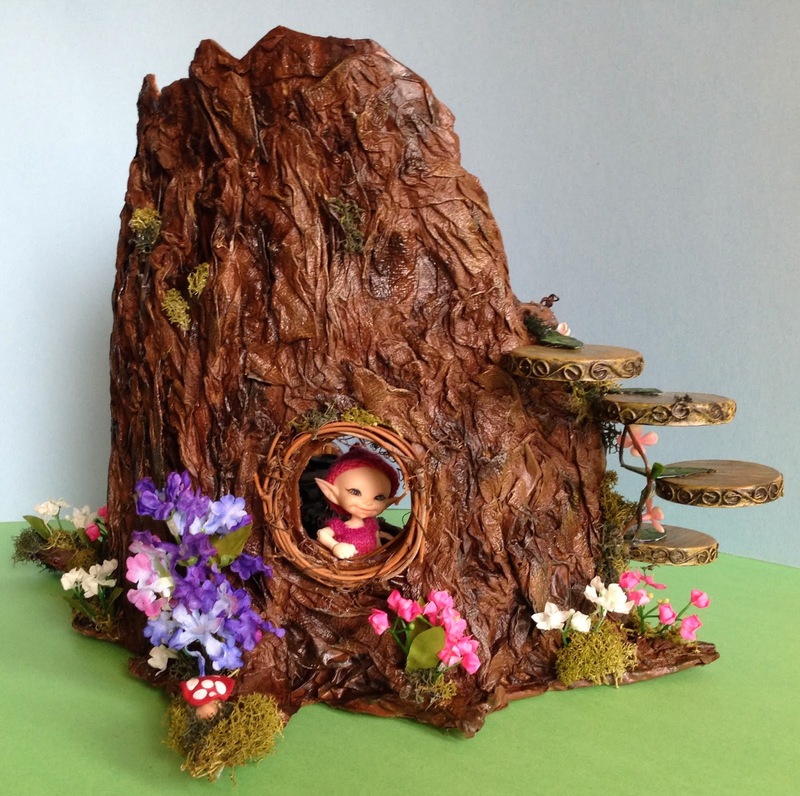 The video made it look so simple and fun that I decided to make my own tree stump fairy dollhouse. 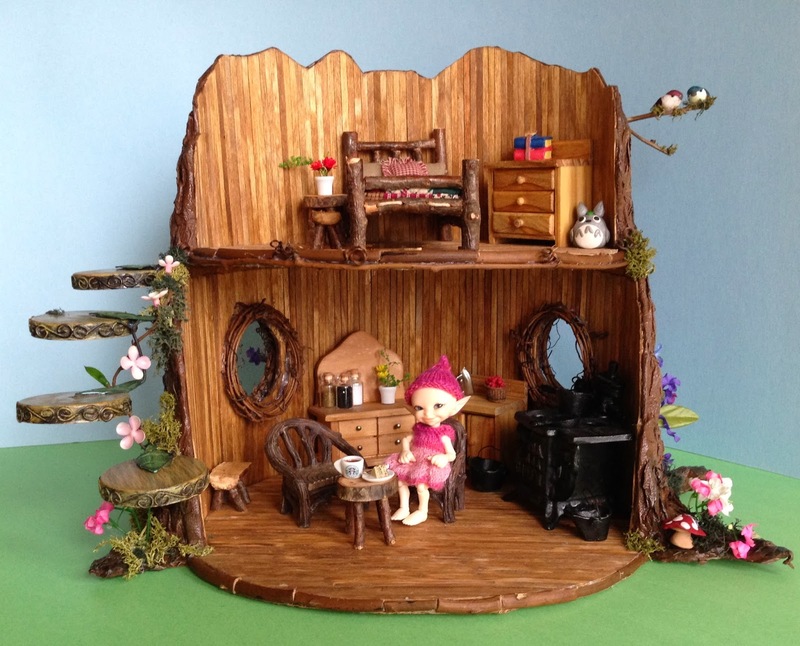 So here is my tree stump dollhouse craft project and some pictures that I took along the way. 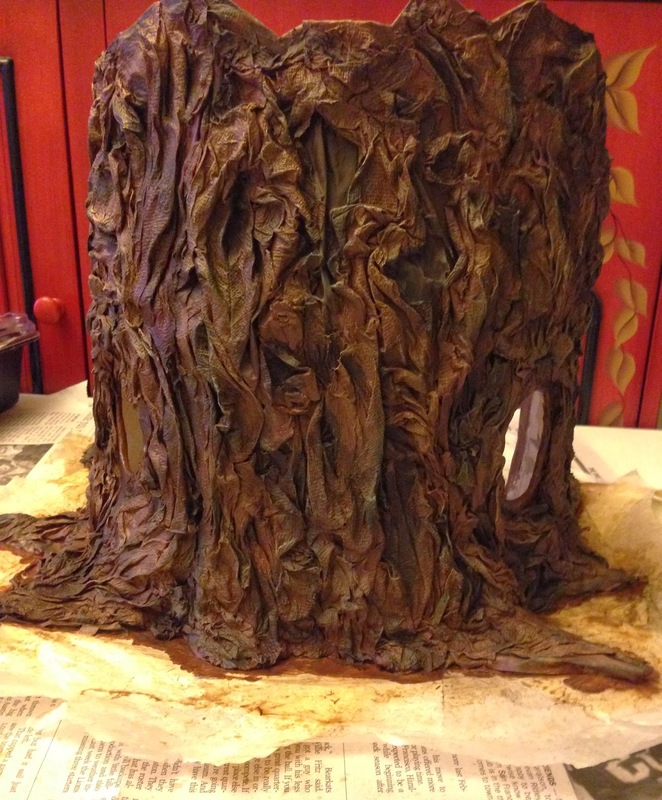 First of all, here is a link to the awesome Realistic Tree Bark tutorial by Sharon Ojala. 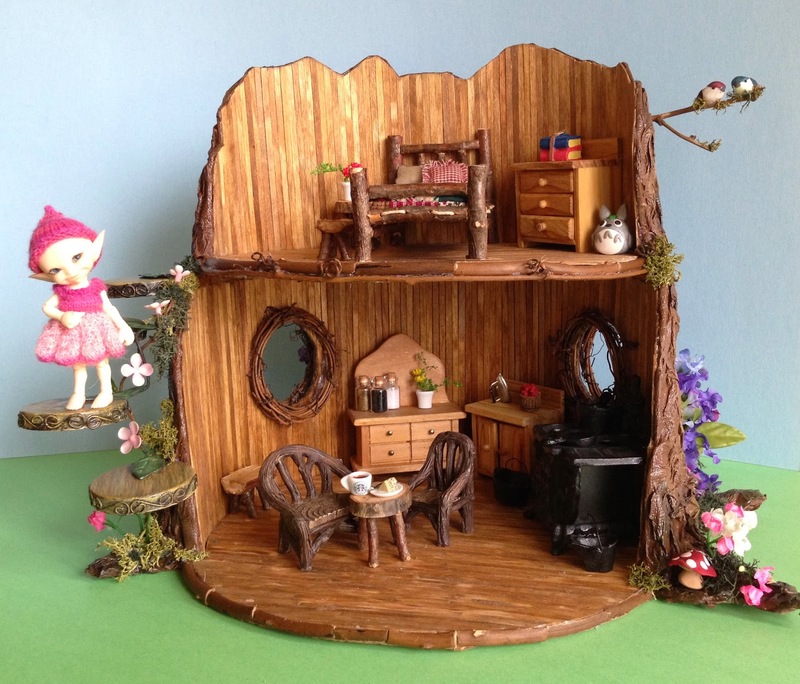 Her tutorial was the inspiration for this dollhouse project. 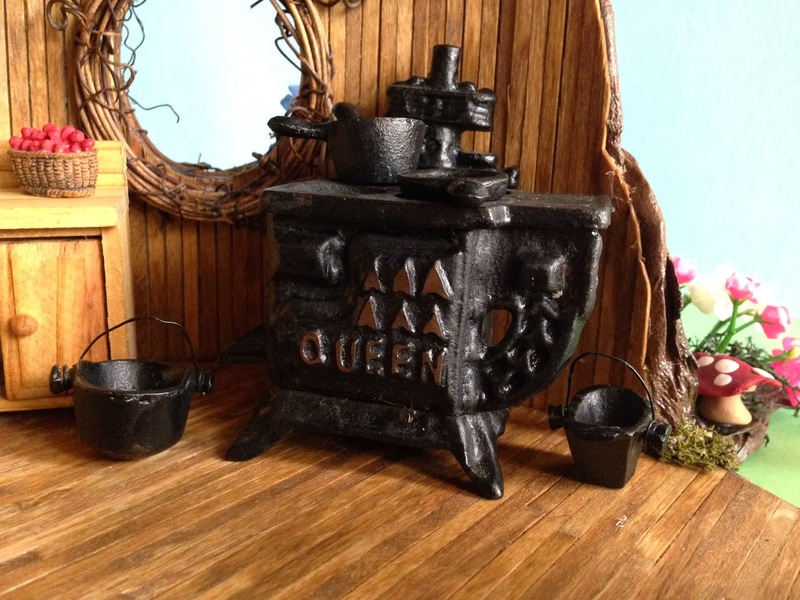 This would make an adorable dollhouse or diorama for any doll. You can make it as big or small as you like to fit any size doll. 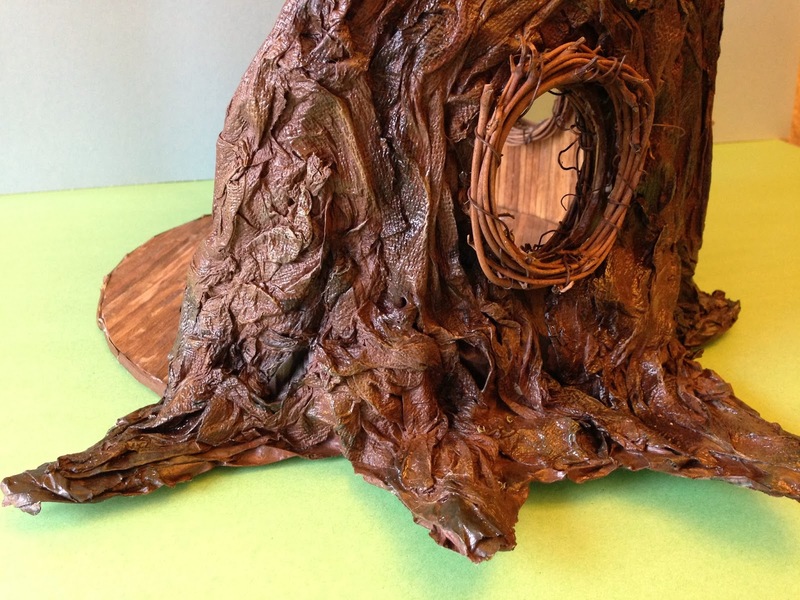 It is an affordable project that can be made with things you probably already have like cardboard, newspaper and glue. 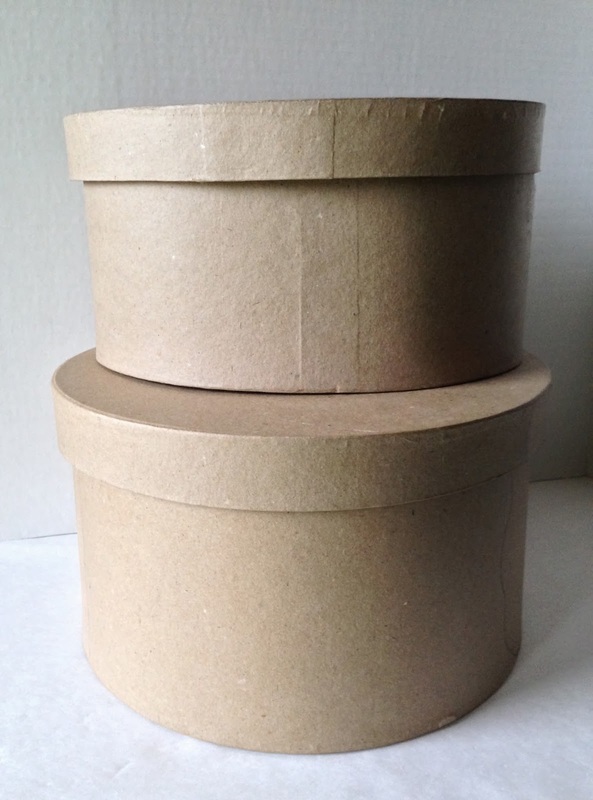 I started off with two plain unfinished cardboard hatboxes from Hobby Lobby. I stacked a medium oval on top of a large round and glued them together. 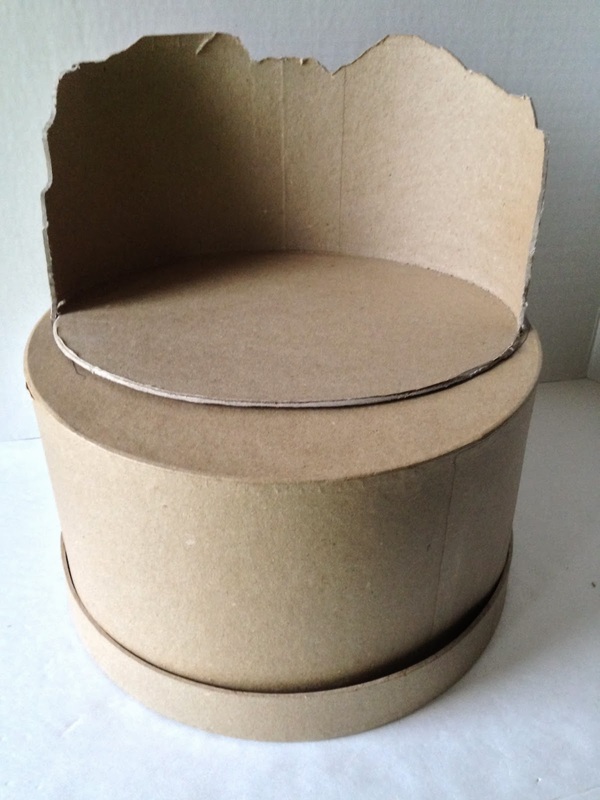 You could use plain cardboard and just curve it into the shape that you want instead of using the hatboxes. I used an X-acto knife to cut the boxes into the shape I wanted. I decided to leave the top open to make more light for taking pictures. I carved away at the top first. 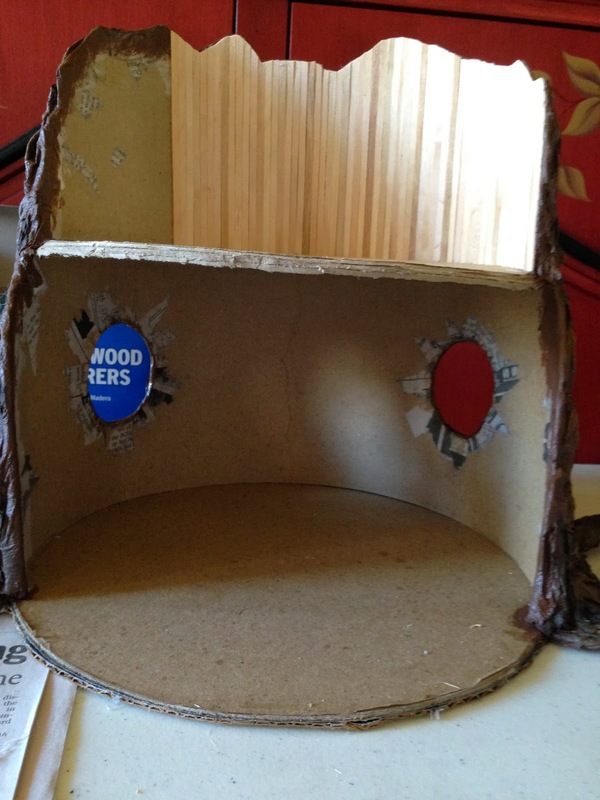 Then I cut the bottom floor of the dollhouse from the lower box. I cut two round windows in the lower floor to add some extra light in there. 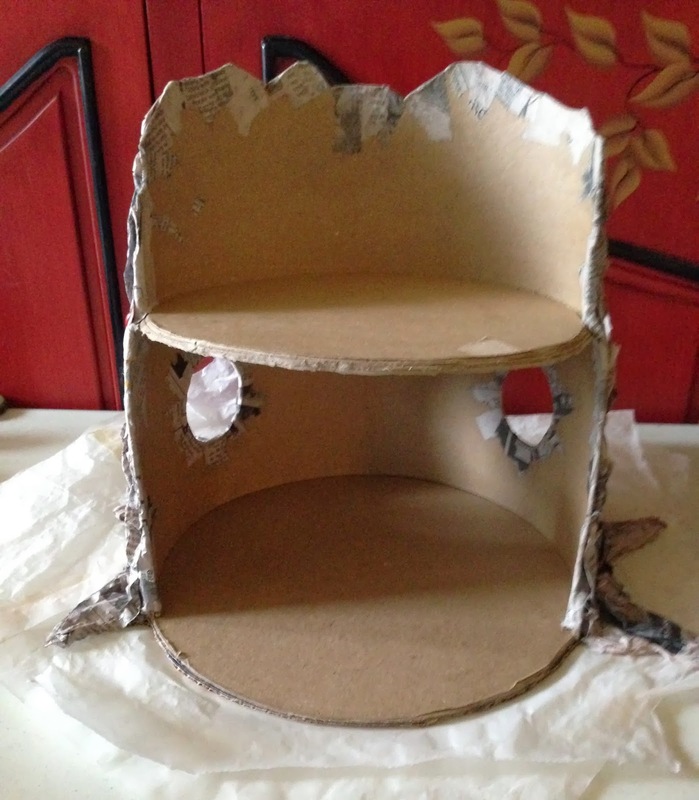 I added an extra piece of cardboard with the shape of tree roots and glued it to the bottom. Then I started adding the layers of newspaper. 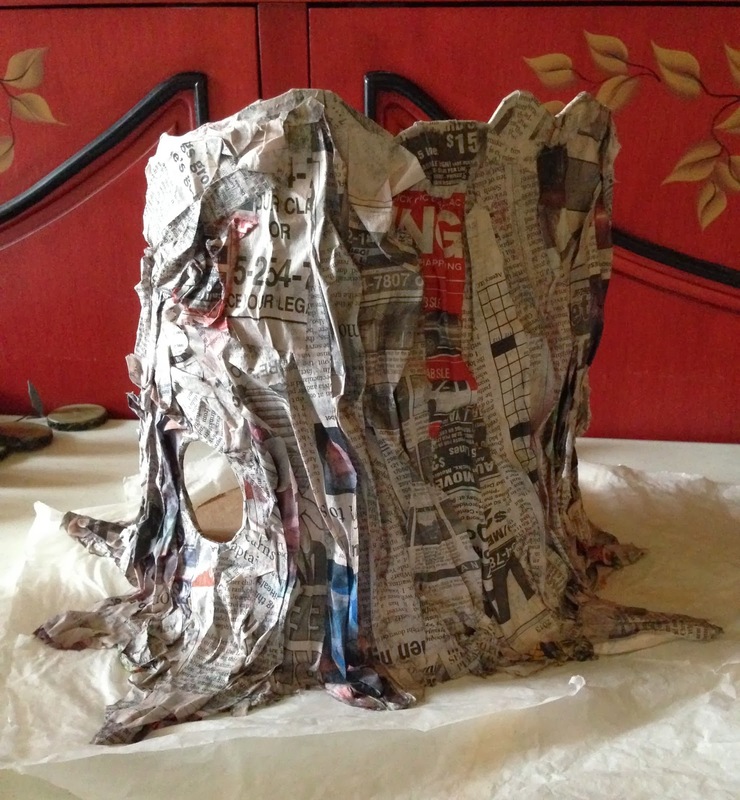 I had never tried paper mache before, but it's pretty simple. I made a solution of one part white glue to two parts water. 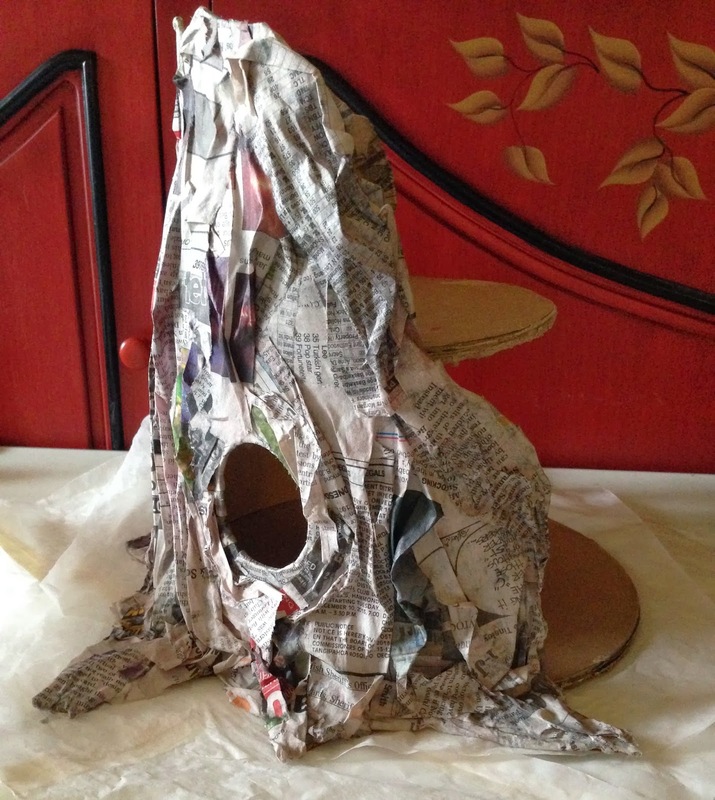 Dip strips of torn newspaper in the glue/water solution, squeeze off the excess, and apply it to the cardboard. The first layer was applied flat and smooth. I wrapped that first smooth layer around the edges of the box where I had cut it. Let the paper dry completely between layers. The next layer is where the magic begins. Lay the glue/water newspaper strip on the outside of the house, then scrunch and wrinkle it to make it look like tree bark. Cover the entire outside including the root area with this wrinkled scrunched up pieces of newspaper. 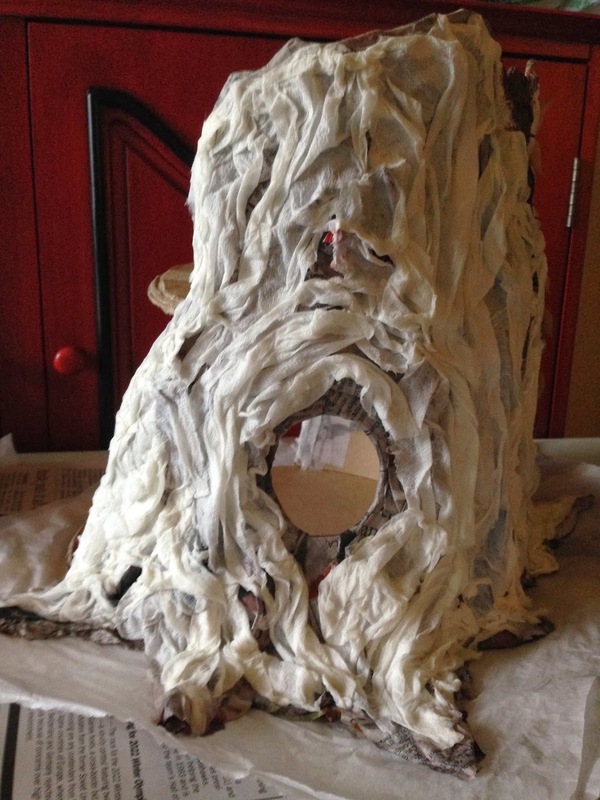 Once that layer dried overnight, I added a layer of scrunched paper towels for more texture. 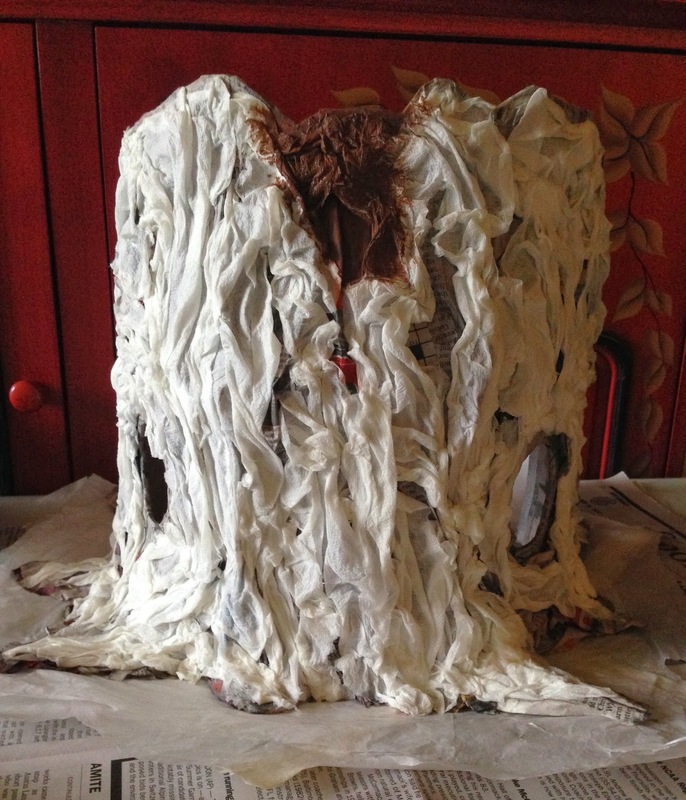 For this layer I used regular Scott paper towels, dipped in the same glue/water mixture with the excess squeezed out well. 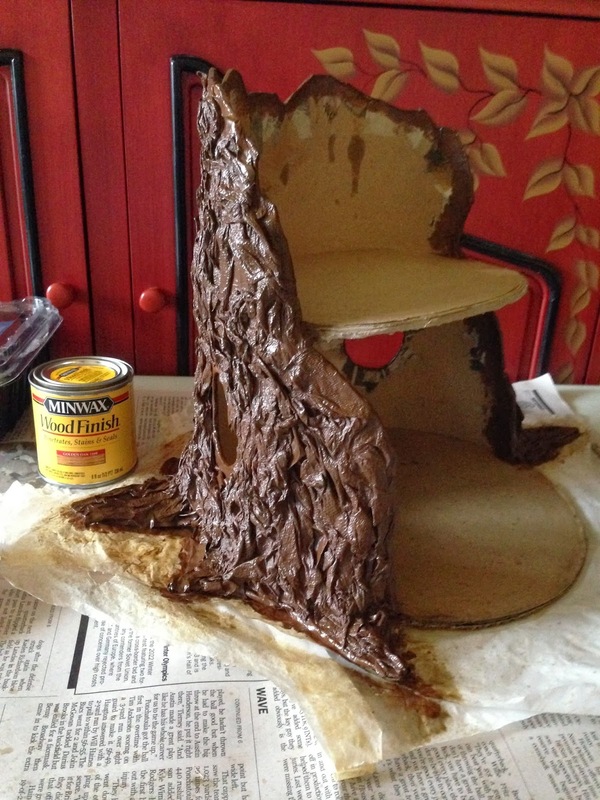 Once the glue was completely dried, I began painting the outside completely with a base coat of brown craft paint. Next I covered the outside with a coat of Minwax Wood Stain in Light Oak. This did a good job of soaking into all the tiny crevices of the bark. At this point the inside is still completely bare. Once the stain was dry, I came back and started adding other colors to the bark. Black in the deeper creases to add depth, and dry brushed lighter tan, yellow, orange and green colors over some parts to add dimension. 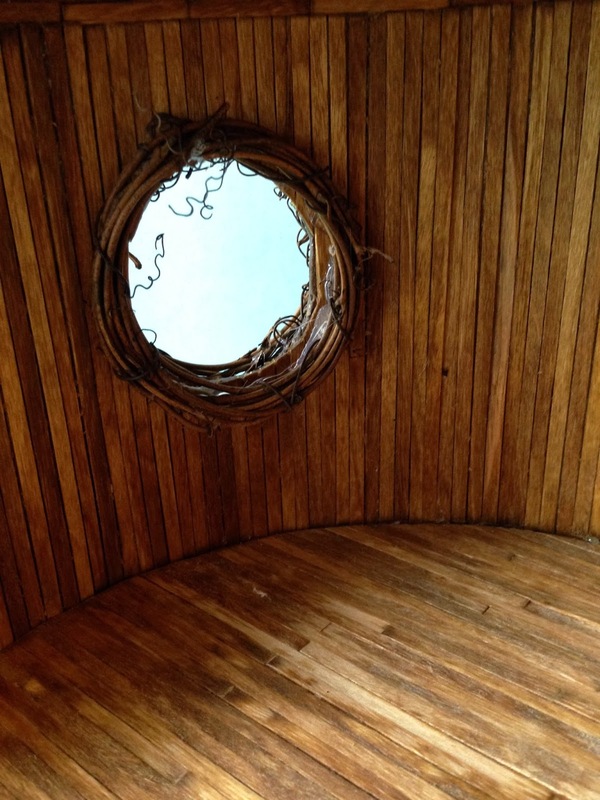 Moving to the inside, the walls and the floors are covered with wooden coffee stir sticks. I followed Sharon's technique from her Wooden Floor Tutorial video. Coffee stir sticks are wonderful to work with. 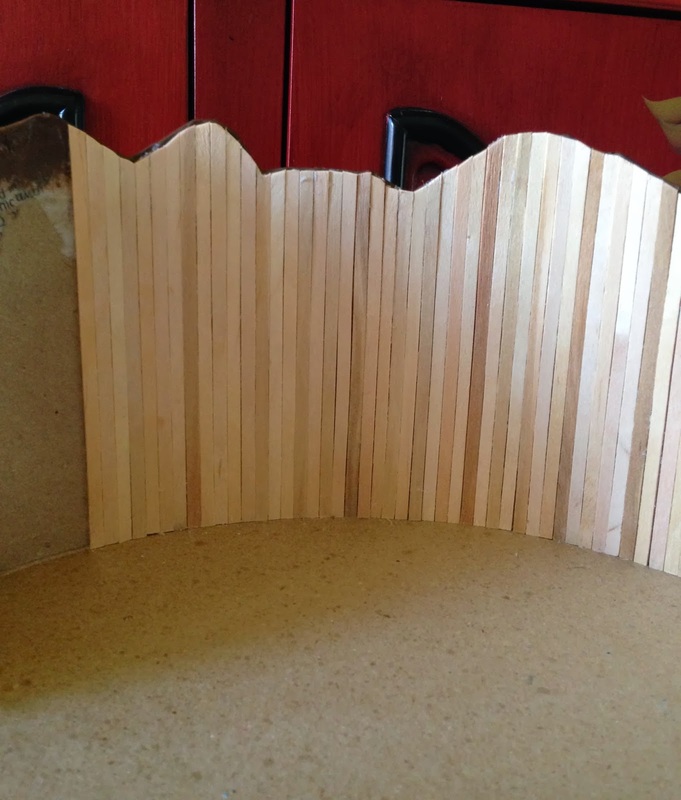 These small lightweight wood strips can be cut to the size and shape you need with regular household scissors. They cut smooth without splintering. These are individually cut to size, dry fitted in place, then glued in with a hot glue gun. 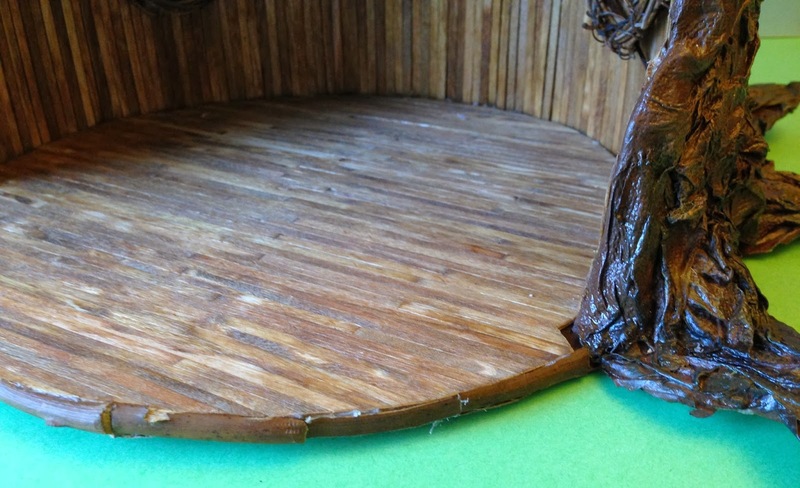 The wooden coffee stir sticks would completely cover the walls and the floor, but this would leave an exposed cardboard edge around the front of the floors. I used garden cutters to cut a grapevine wreath into small pieces, then cut the pieces in half and glued them along the edge of the floor to give it a nice finished edge. I applied a coat of MinWax Wood Stain to the walls and floors. 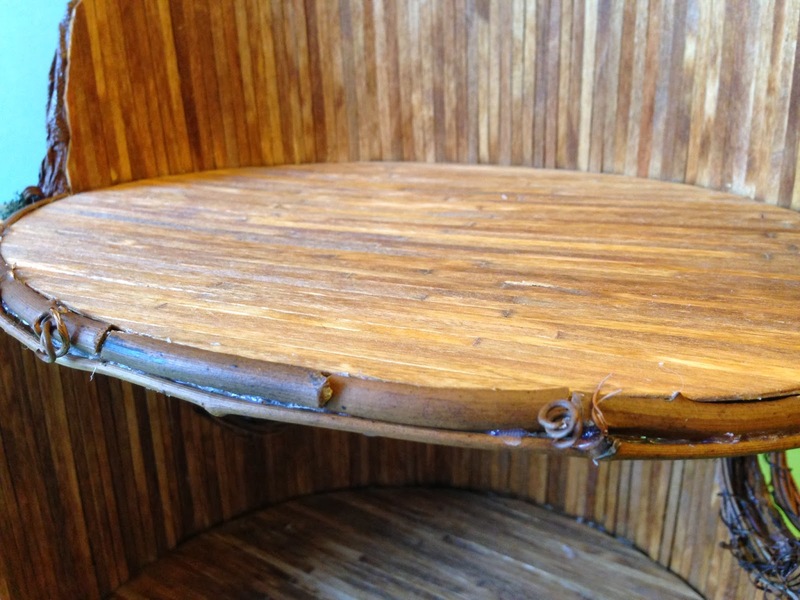 Once the stain was dry, I applied a coat of Linseed Oil inside and out, to seal the walls, floors and the tree bark. I glued tiny grapevine wreaths to the windows. I got the idea for the wreath window treatments from Disney's Tinker Bell movie. Here is the dollhouse all done, ready for furniture. 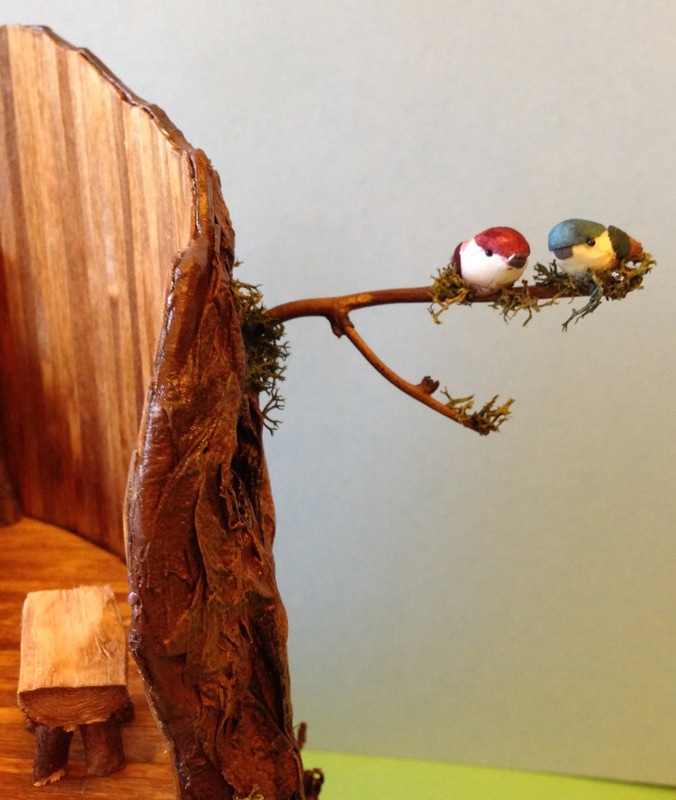 I added a branch from the grapevine wreath to the outside which makes a nice perch for these two little birds. The tiny birds are from Hobby Lobby's miniature dollhouse section. I added metal steps to the side of the dollhouse. These were a thrift store find. I'm not even sure what the item was that these came off of, maybe some kind of candle holder. I should have taken a picture of it before I broke it to get them off. These metal steps make a good doll stand for a BJD since they have magnets in their feet. 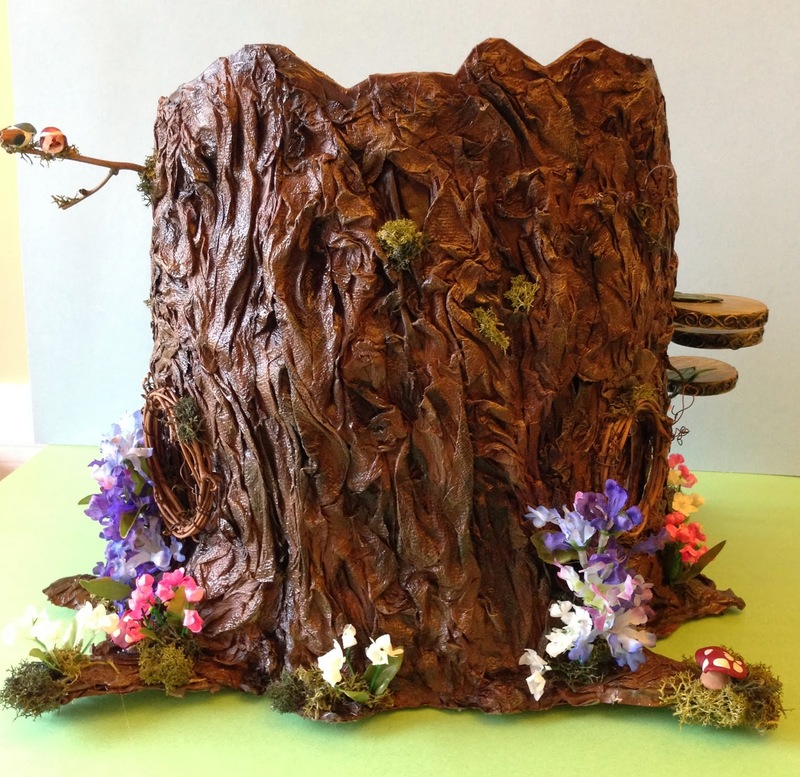 I added tiny silk flowers to the outside of the tree trunk and around the roots. The moss is from Hobby Lobby's model train section. It is called Lichen, and it had a mix of both light and dark green mosses. I love the look of the Lichen, but I need to find another craft project to use it on because I have a ton left over. I made the little mushrooms from polymer clay. I love the look of the back of the dollhouse as much as the front. Here is the front with all of the furnishings. The stove is a thrift store find. It is made of cast iron. The chairs are from Hobby Lobby's Garden department. These are fairy garden chairs. They are made of resin, but look like branches. Perfectly sized for RealPuki. 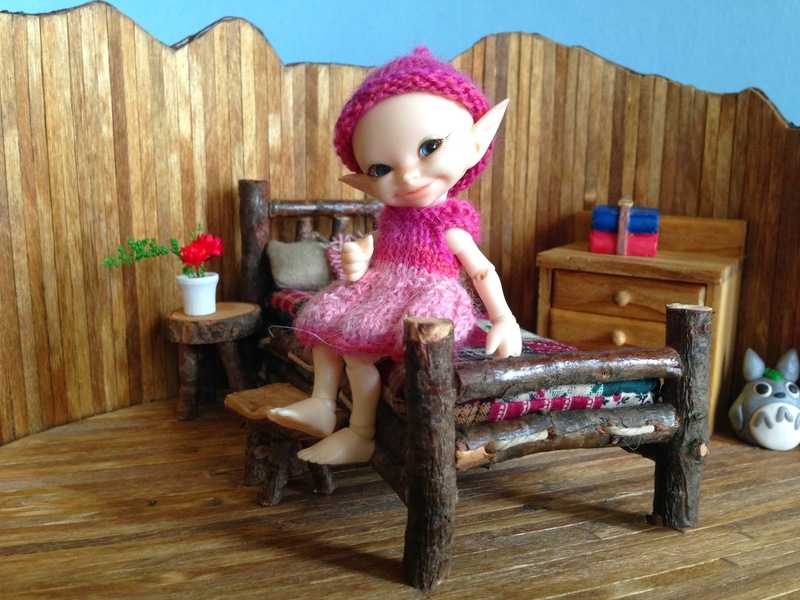 The adorable bed, tables, and stools are all from the Etsy shop, Rustic Miniatures. I made Twinkle's friend Totoro from polymer clay. 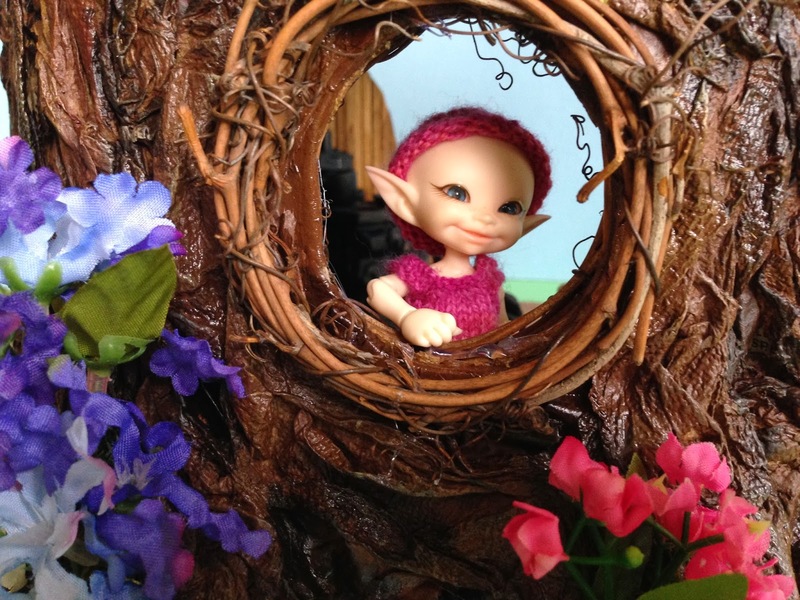 Twinkle loves her new fairy house. The windows are the perfect height for Twinkle. She's watching for company to come by. 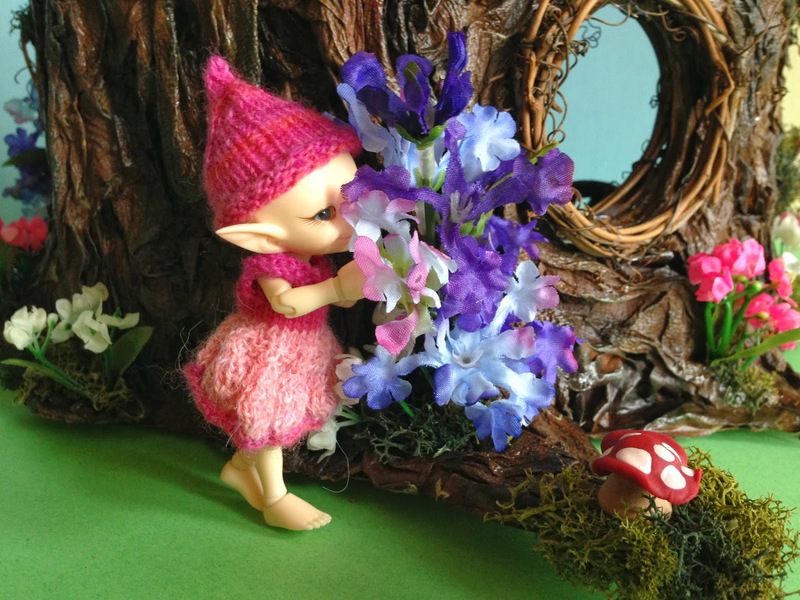 And don't forget to take time to stop and smell the flowers. 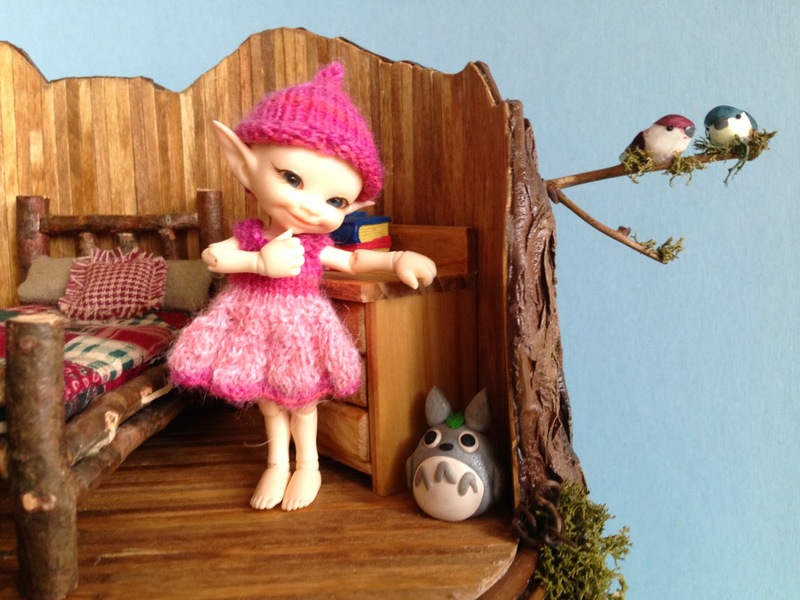 I just uploaded a video tour of Twinkle's dollhouse. Click the picture below to watch the video tour. That's stunning! I've got to try this for my paper dolls. Thanks N! You should definitely make one. I had so much fun making this. If you have any questions along the way, just ask. I'd love you see a picture when you're done too! Absolutely delightful! 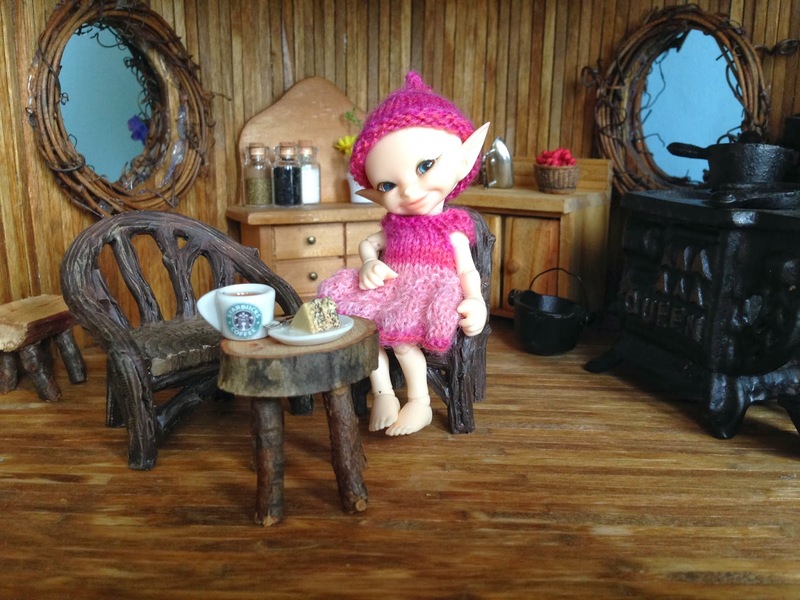 twinkle's home is a dream come true. I love it. Thanks Isabelle! 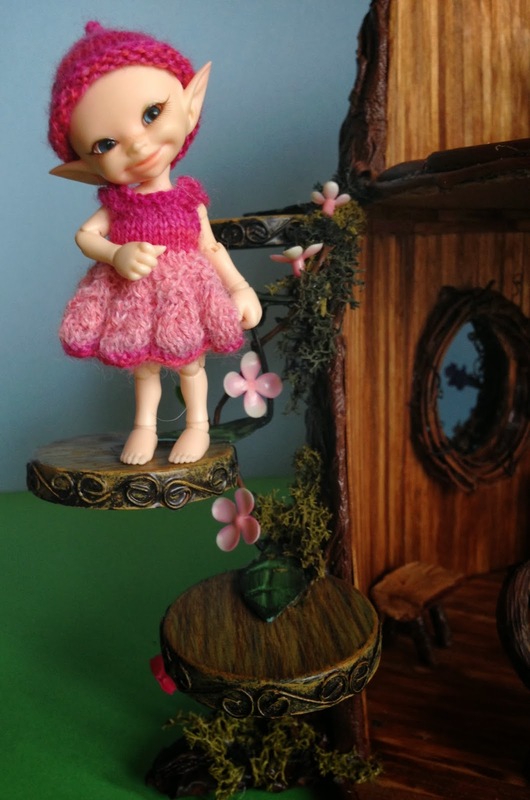 I love reading about all of your dollhouse projects! Your "Days of our Little Lives" blog is truly inspiring!!!!! This is so excellent! Thank you for the excellent photos & explanations. Love it! What a fabulous tutorial, full of so much inspiration too! The finished house looks just beautiful, I'm sure Twinkle will be extremely happy in her new home. Well done you!! Thank you for your sweet comments Xanadu! 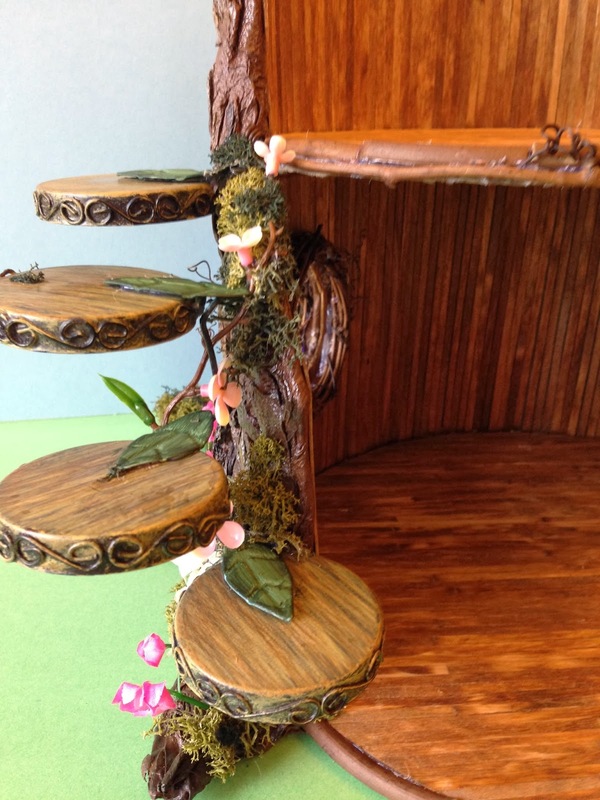 Your tree dollhouse is amazing! It's so beautiful, and the items you furnished it with are perfect! Thank you so much ghouliette!!! 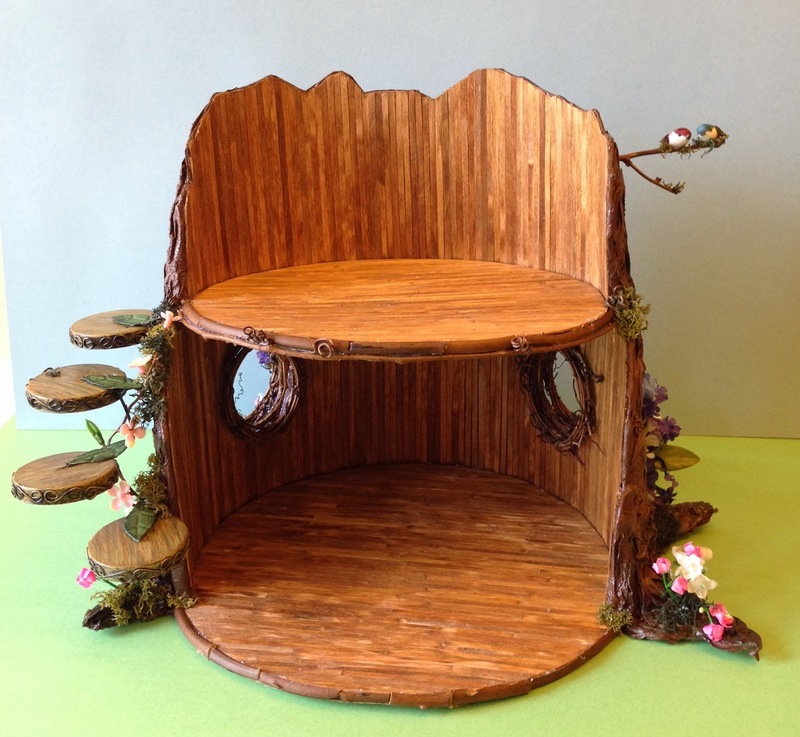 Your fairy treehouse is incredible. You've done an amazing job and I'm sure Twinkle will enjoy living there. Thanks for your sweet comments Wanda! That is a gorgeous house! I'm sure Twinkle will love living there. I love the tree house you made. It looks adorable. Thank you for showing us the step by step on how to make it ourselves. Thanks Laura! I hope you will make one too. Please post a picture of it on my Facebook page if you do. I'd love to see it! The dollhouse looks amazing. 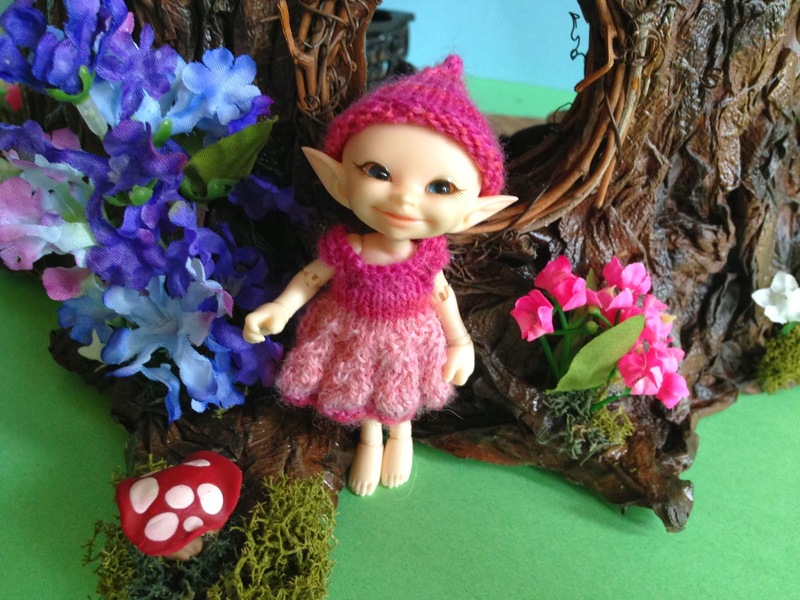 I love anything fairy related and it seems like an easy and fun project. Thanks Starr! I love fairy related things too! There are several fairy books that are on my wish list. This is definitely a fun project, and it's pretty easy too. It's not a one day project because of all the steps involving letting the glue dry. :) But just take your time, it really is simple to make. If you make one, please post a picture of it on my Facebook. I'd love to see it! Hi Melody! Thank you so much for your sweet words!!! 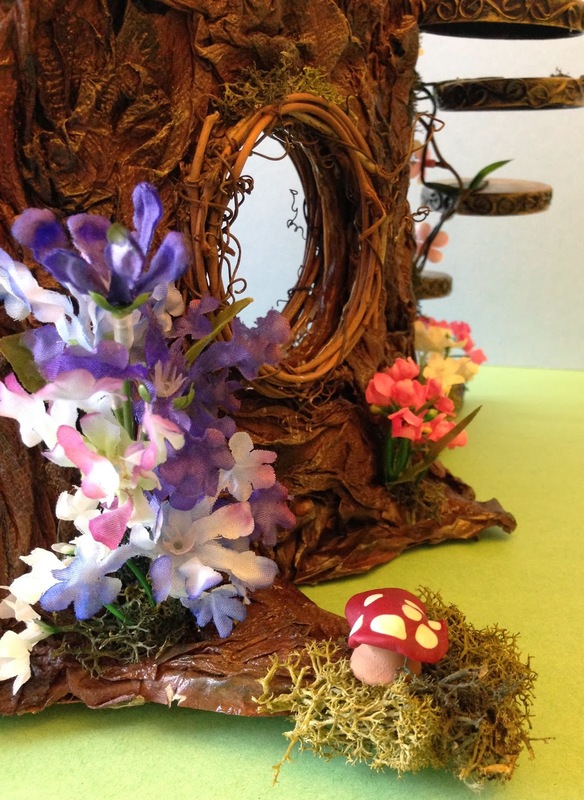 What a fantastic job you did making this fairy house! Sooooo cute!!! Wonderful instructions, too!! Thanks RetroSandie! Please let me know if you decide to make one! And if you have any questions, please feel free to ask. GORGEOUS and enchanting. A definite 1st place winner at ANY dollhouse miniatures show! I hope you enter it into one near you. Thank you tigroute82!!! You should definitely make one too! It is a really fun and inexpensive project. Очень классная задумка! Мне нравится! Awesome! They are so much fun! Hi there, your project is lovely and well documented and was very helpful to me! 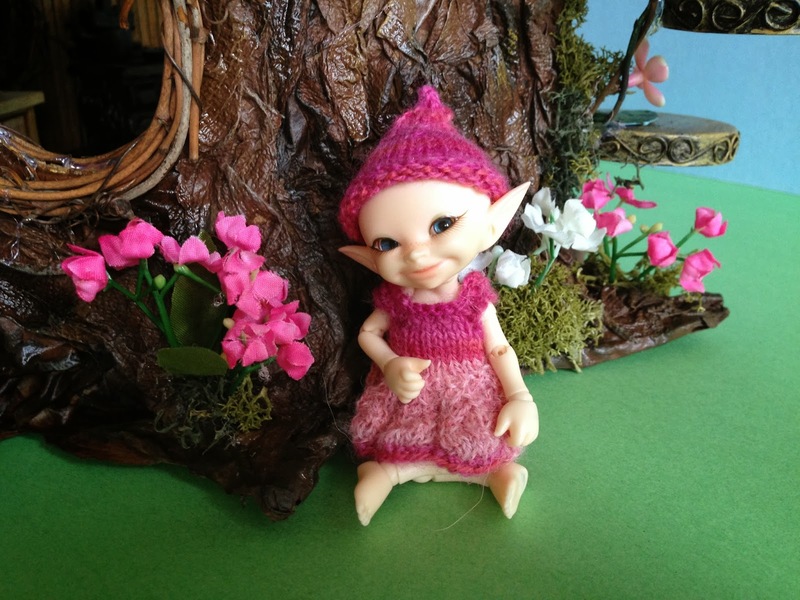 I was wondering if I could have your permission to provide a link to this project on my own (very new) doll blog (http://faewing.blogspot.com/p/tutorials-i-love.html). If this is not okay with you, I will remove it immediately. Thanks!! Thanks so much for stopping by. I'd love it if you left a comment to let me know you were here. Have a wonderful day!